has decreased The waiting time for asylum to decide according to the Federal government last on average a year and a half. 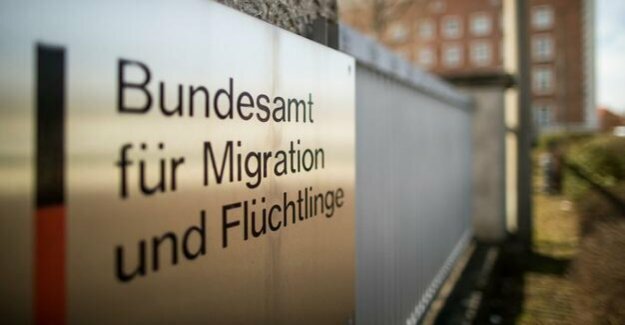 The Federal office for Migration and refugees (Bamf) took in the third quarter of 2018, an average of 6.1 months for a decision, as a response to the Federal interior Ministry to an inquiry of the left faction. In the first quarter of 2018, it was 9.2 months in the second quarter to 7.3, - stated in the epd, this answer, on Monday first, the Newspapers of the Funke media group reported. In September, 2015 German Chancellor Angela Merkel (CDU) had agreed with the Prime Minister, the asylum procedure within three months to complete. Currently waiting in the third quarter of 2018, especially people from Pakistan (9.1 months), Russia (8.8 months), Somalia (8.4 months) and Afghanistan (7.5 months) long decision on their Asylum applications, Syrians, however, was 4.4 months. Over the months January to September, the average duration of the administrative proceedings was given with 7.9 months. That was according to Figures of the left party about the state of 2016, as the official figures, at 7.1 months of earnings. A year later, there were an average of 10.7 months. Data for the waiting time up to a final decision, including judicial proceedings, have been submitted according to the links group, initially for the first half of 2018, according to the process took an average of 16.8 months. Jelpke called the wait times "intolerable"
"From the aim of the asylum procedure, or to edit, on average, in three months, the Bamf is still far", said Ulla Jelpke, the domestic policy spokeswoman for the Left party in the Bundestag. The average duration of proceedings was reduced in the third quarter, asylum seekers from countries such as Afghanistan, Somalia, Russia and Pakistan would have to continue to "wait unbearably long to you," said Jelpke. "The fact that the procedures take in unaccompanied refugee minors, once again, for much longer, I think, is scandalous," she said. In cancellation tests will currently put hundreds of thousands of time-consuming and usually without result of the already granted protection status in question, said Jelpke. Instead, the staff at the Federal office for Migration and refugees, should be used for the examination of asylum applications and continue to be qualified. In the case of new, within the past twelve months initiated procedure, the waiting time was the government figures show that last on average about three months. More than twelve months of procedure would not, however, systematically from the average calculation, and thus the total fudged values, criticized the Left.